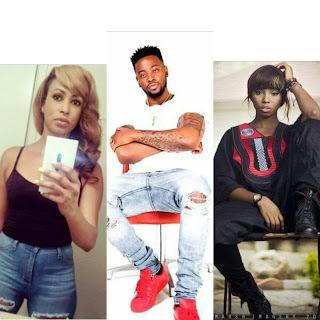 Big Brother Naija housemate Teddy A has reportedly disclosed that he had no plans of taking his relationship with Bambam serious outside BBnaija as he has someone waiting for him outside the BBNaija house. All this he revealed during his diary session last night. When Big Brother asked Teddy which relationship in the house he felt was genuine he said just his and probably Alex and Leo. Then he went on to say that, when he got into the house, he told everyone who cared to listen that he had a girlfriend. He said he even let BamBam know and told her not to come close. However, as time went by, their arguments stopped and he got to see a different side of her but it doesn’t change the fact that he has a girlfriend. On a second thought, he said he hoped he still does and his woman will accept him, considering what went down in the house between himself and BamBam. In essence, he defined the situation with Bam Bam as just having fun despite having s3x with her in the toilet on live TV. Eyah! My heart goes out to Bambam who clearly has fallen in love with the dude.